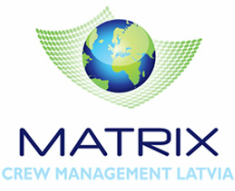 Matrix Crew Management Latvia are a highly motivated, very experienced and professional team. If you have any queries/questions please do not hesitate to contact us. E-mail: info@matrixlv.com (for queries only). Please don't apply for job vacancies at the above email address or in the contact form on the right, these are for general enquiries only. Instead please click on the "SEA VACANCIES" Tab at the top of this page.